Sensitive teeth are a common condition, and pain is triggered by cold or hot. It can be caused by worn tooth enamel from brushing teeth aggressively or using a toothbrush that is too hard. It can also be caused by tooth erosion due to acidic foods or drinks, or cavities. A layer of enamel around the crowns protects healthy teeth. Enamel is the strongest substance in the body. A layer of cementum protects the roots of teeth, under the gum line. Underneath the enamel or cementum is a layer of dentin, which is less dense, and contains microscopic tubes or canals. When the dentin loses its protective cover of enamel or cementum, the nerves in the teeth are exposed to hot or cold or sticky foods, this cause hypersensitivity. Dedication to dental hygiene is important to prevent tooth decay, periodontal disease and sensitive teeth. 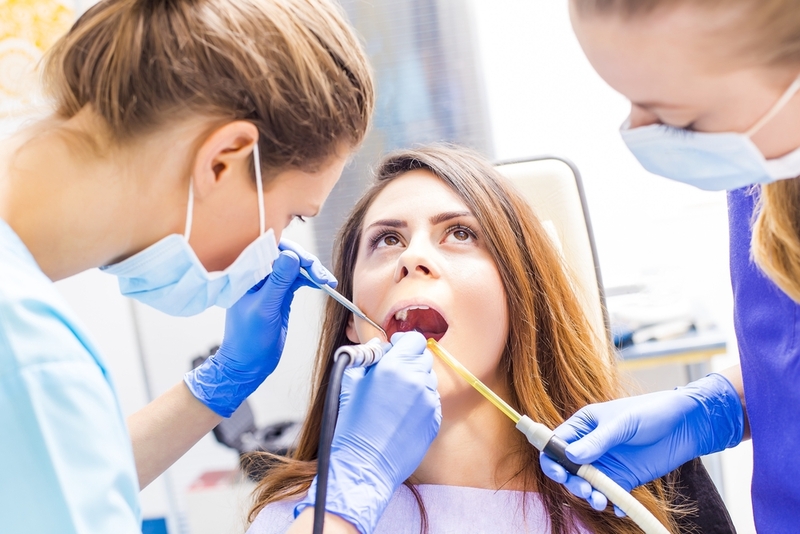 Regular visits to the Port Coquitlam dentist are important to detect and treat tooth decay, periodontal disease and other problems early and treat them. Periodontal disease is an infection of the gums and bone supporting the teeth, and may also be responsible for sensitive teeth. Left untreated, gum tissue can separate from the teeth, and form spaces or pockets where bacteria can grow, and cause infection. The bone and supportive tissue can be destroyed leaving roots exposed. If bacteria in the mouth stay on teeth it forms a film or plaque, which eventually becomes tartar, a hard build-up also called calculus. It can spread below the gum-line, which makes teeth harder to clean, and only a dental health professional can remove the tartar to stop the periodontal disease from spreading. The warning signs range from bad breath or a bad taste that never goes away to tender, bleeding gums that could be red or swollen, loose teeth because gums are pulled away, or a change in the way teeth fit when you bite. To prevent periodontal disease or gingivitis brushing correctly every day, not too hard or with a toothbrush, which is too hard, and flossing is important. 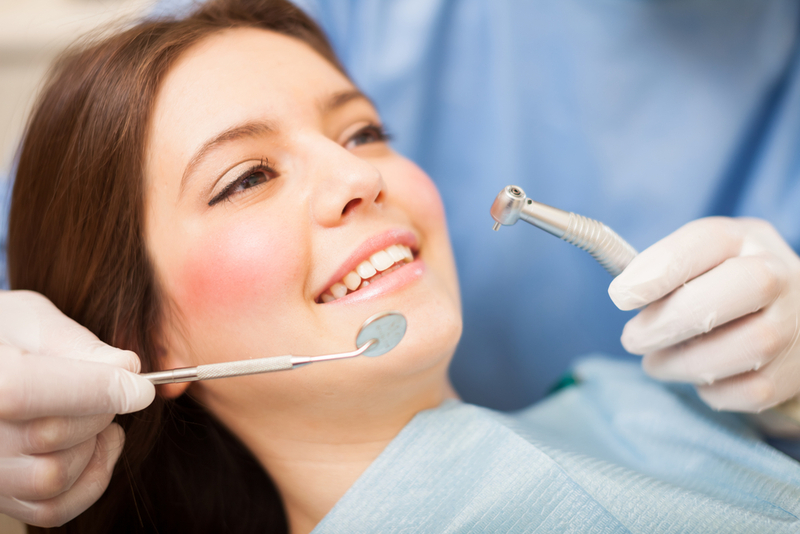 Visit your dentist at least once a year, and have regular professional dental cleaning done to prevent gingivitis. Sensitive teeth can be treated, and depending on the cause, your dentist will work out the best treatment. In the meantime, you might be fortunate enough to relieve the situation with desensitizing toothpaste, which contains compounds that blocks the pain sensation traveling from the tooth surface to the nerve. It might take a few applications to work. Make sure you choose a product that is certified by the American Dental Association. If the desensitizing toothpaste doesn’t ease the pain, your dentist may suggest a treatment with fluoride gel or desensitizing agents, which are applied to the sensitive areas. Should these treatments not correct the problem you might need a filling, a crown, an inlay or bonding to correct the flaw or decay causing the sensitivity. If gums are affected, a surgical gum graft to cover and protect the root may be suggested. In some cases, if the sensitivity persists, the last resort would be endodonic or root canal treatment to rectify the problem. If you have sensitive teeth the best advice would be to visit your dentist as soon as possible to have the problem assessed.